As exciting as losing weight can be, it is also a lot of other things. Whether you are considering making the final decision to lose weight or have already begun your weight loss journey, you might have mixed emotions and not quite know what to expect along the way to your ideal weight. Learning about what you might experience and what you might be able to expect may help you stick to your goal and have more fun while losing those unwanted pounds. 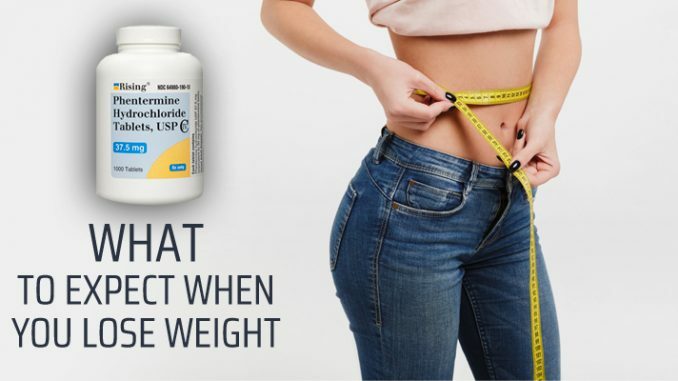 You may have already chosen a weight loss pill to help you, or maybe you are still looking; however you decide to lose weight, using a weight loss pill might help you lose it faster and stick to the program longer. It can even help you cope with some of the things you might encounter along the way. You have made the big decision and are excited about the thought of losing all the extra weight you have been carrying around with you. Whether you want to lose 20 pounds or over 100, the excitement you might feel as you begin will be plenty. ‘Can I really do this?’ are all common questions. Any doubts you have are normal, and any fear of failure is also normal. You can deal with fear and doubt by reminding yourself about other things in your life that you decided to change. When you chose the best weight loss pill you can find, you’ve made the first choice about your weight loss method. Now is the time to talk yourself into doing it the best you can, whether you’re afraid or not. When you begin losing, you will again experience the excitement. When you plan a trip or a night out at a party, you might feel the fear again. It’s a vicious cycle that you can control by sticking to your weight loss pill and diet plan and by talking to yourself about it. Excitement and fear, doubt and decision; all of these things will make an exciting weight loss journey. You may have been overweight for years, or maybe you have just started putting extra weight on. Either way, you can expect some physical reactions to weight loss. If you are taking a weight loss pill that suppresses your appetite, you might be surprised by how satisfied you are. Maybe you expected to feel hungry all the time. With most weight loss pills, you won’t feel deprived, unlike what most people expect while losing weight. You may also begin to feel more energetic than before. This is in part because being overweight is exhausting and in part because the weight loss pill you are taking may be giving you more energy with either a stimulant or natural ingredients that are boosting your energy. When you begin losing weight, you might notice that simple things such as climbing stairs or bending over to tie your shoes are easier than they were a few days ago. This is because the fat in your abdominal area is disappearing. Within a couple of weeks, your clothes that were once tight will become looser and may actually be too big for you. This is a wonderful feeling, and one of the best physical reactions to weight loss. Seeing your body shrink and knowing you look slimmer to others, as well, may give you the boost you need to keep going. Weight loss is something that can affect your entire person emotionally, physically, and mentally. Choosing a weight loss pill that will offer to help you in all areas might be the best way to help yourself.